Military and many PMC forces around the world. of the Belgian Minimi, a light machine gun manufactured in Belgian. approaching that of a rifle. 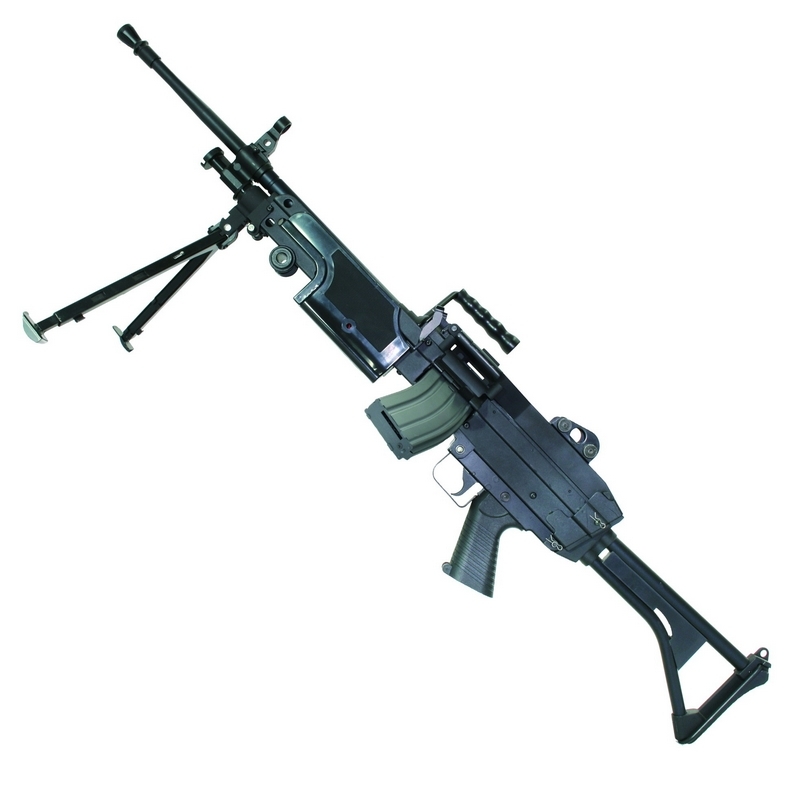 Internally this weapon is just as sound as it is externally. piston to help prevent any stripping. get the job done, swiftly, efficiently and without fault. Bi-pod with 3-Level Adjustable Height. Tough ABS Plastic grip and foregrip.